Wild Rose Cabin is truly Wild! Decorated in beautiful grays, reds and of course Roses. Large open spaces. 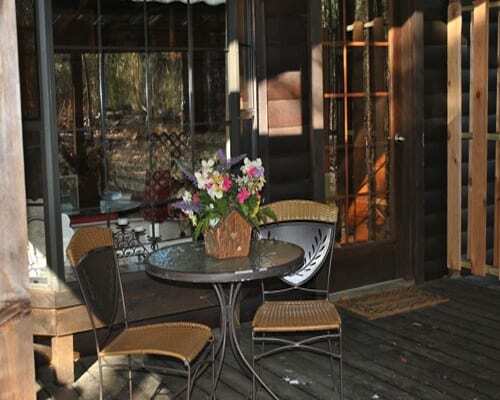 When you first walk into this cabin you’re viewing a huge jacuzzi in a bay window with an awesome wooded area in back. Fire Pit and Hammock also located in back. Leather; glass and iron furniture due this cabin a very comfortable justice. Decor awesome! Front porch faces lake with swing and back covered deck with Hot Tub surrounded with wooded area. Critters and Deer seen often. Have fun!